A seminal and hugely imaginative work of early science fiction, H.G. 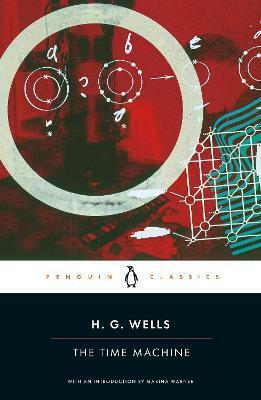 Wells's The Time Machine is the first and greatest modern portrayal of time-travel, edited by Patrick Parrinder with an introduction by Marina Warner and notes by Steven McLean in Penguin Classics. When a Victorian scientist propels himself into the year 802,701 AD, he is initially delighted to find that suffering has been replaced by beauty, contentment and peace. Entranced at first by the Eloi, an elfin species descended from man, he soon realises that this beautiful people are simply remnants of a once-great culture - now weak and childishly afraid of the dark. But they have every reason to be afraid: in deep tunnels beneath their paradise lurks another race descended from humanity - the sinister Morlocks. And when the scientist's time machine vanishes, it becomes clear he must search these tunnels, if he is ever to return to his own era. This edition includes a full biographical essay on Wells, a further reading list and detailed notes. Marina Warner's introduction considers Wells's development of the 'scientific romance' and places the novel in the context of its times. H.G. Wells (1866-1946) was a professional writer and journalist. Wells's prophetic imagination was first displayed in pioneering works of science fiction, but later he became an apostle of socialism, science and progress. Among his most popular works are The Time Machine (1895); The Island of Doctor Moreau (1896), filmed with Bela Lugosi in 1932, and again in 1996 with Marlon Brando; The Invisible Man (1897); The War of the Worlds (1898), which was the subject of an Orson Welles radio adaptation that caused mass panic when it was broadcast, and a 2005 film directed by Stephen Spielberg; and The First Men in the Moon (1901), which predicted the first lunar landings. If you enjoyed The Time Machine, you might like Jules Verne's Journey to the Centre of the Earth, also available in Penguin Classics.